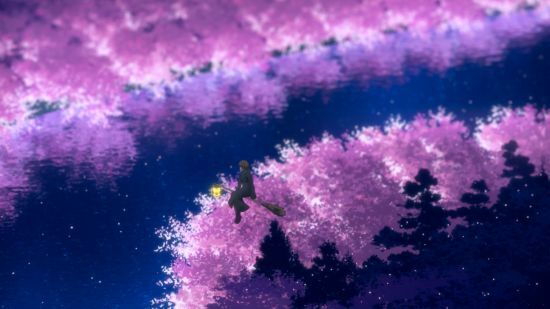 Around this time last year, we covered anime titles with pretty background art, but there was NO WAY to cover all of our favorites in one blog post. 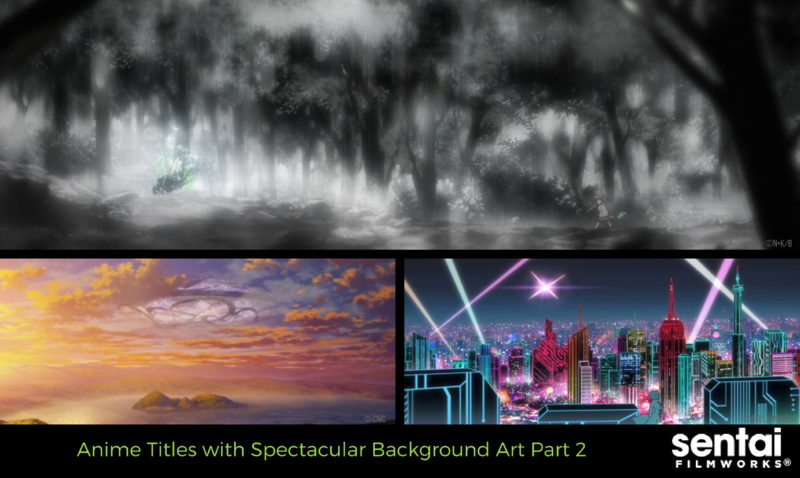 Therefore, with your suggestions and suggestions around the office, we’re throwing it back and looking at MORE anime backgrounds that make you feel like you’re part of that world. 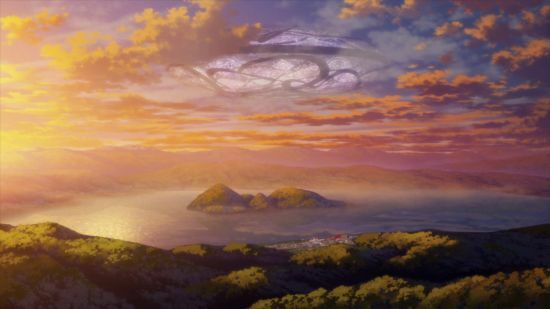 This sweet show wants us to cast our attention into the sky for the strange UFO, but we can’t help but keep staring at the natural beauty surrounding the characters. 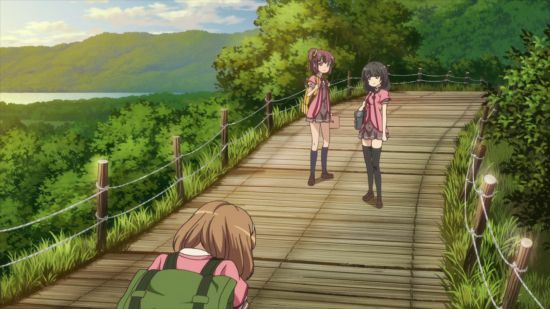 You already know that a KyoAni series had to end up on the list! 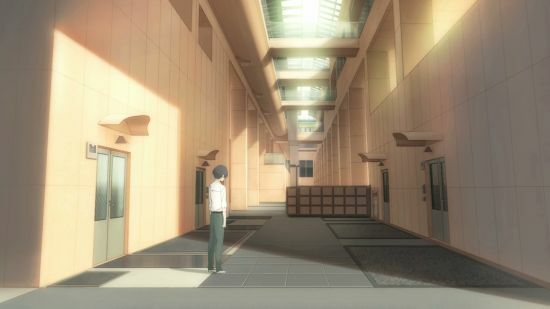 The show’s use of colors, shading, and shapes make Mirai’s adventures both in and out of the influence of the Spirit World are spectacular to look at. One word: COLOR! 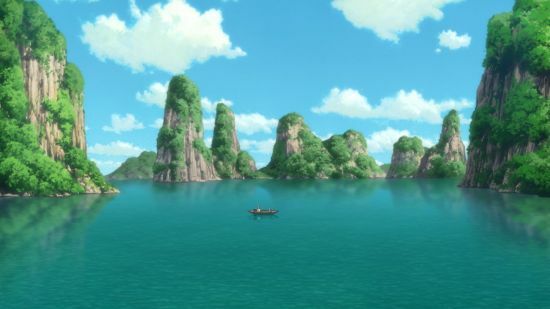 The amazing application of wild color combinations set a backdrop that’s just as amazing as Cocona and Papika’s adventures. We particularly adore their foray into the Alice in Wonderland style world. Never has the color gray been so… well… colorful. 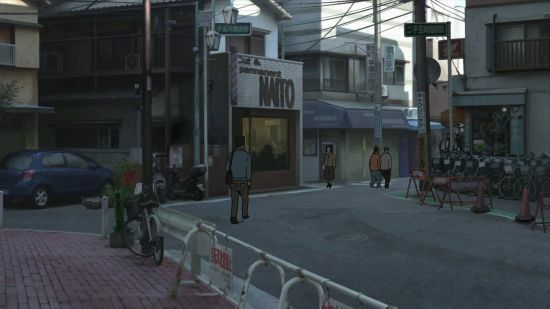 Even though the show is filled with mundane settings, the realistic backgrounds and little details in this movie are a canvas for a story that makes itsgrim characters come to life. 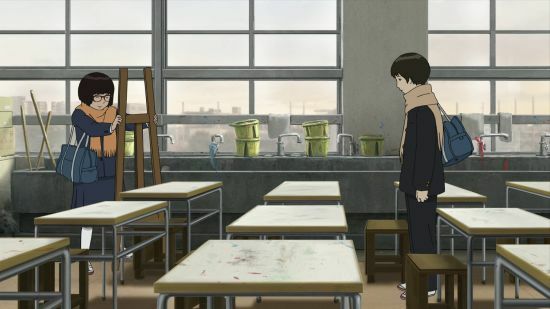 See the color splotches on the white desks? 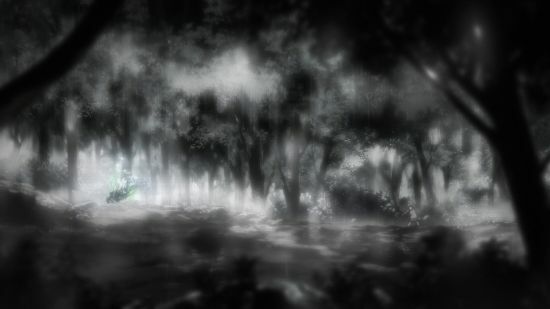 For a show about being “listless,” a lot of effort went into the background art. 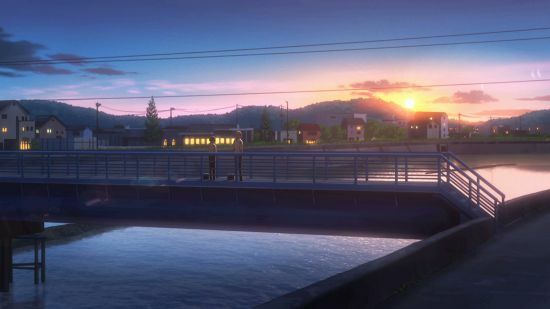 Tanaka and Ohta’s school is beautiful, and so are the vistas they visit around town. 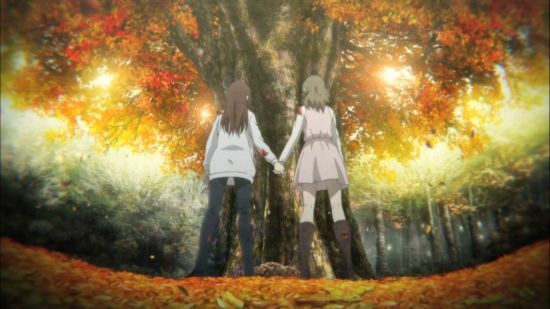 Autumn couldn’t look better than it does in Beautiful Bones: Sakurako’s Investigation. 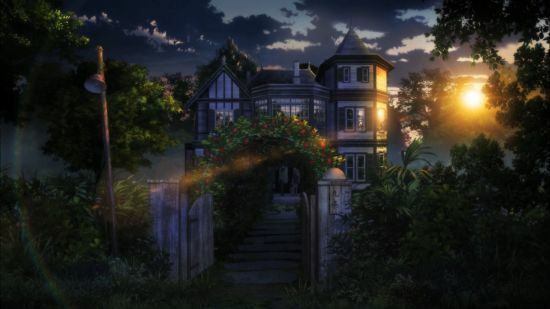 The gray skies, shaded trees, and beautifully detailed interiors are the backdrop to the show’s mysterious happenings. 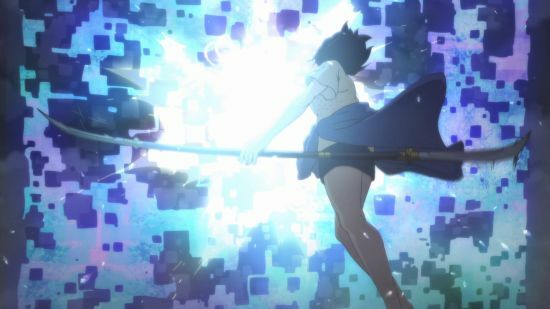 We’ve already dedicated an entire blog to the stunning art of Flying Witch, but we HAD to include it in this blog post! 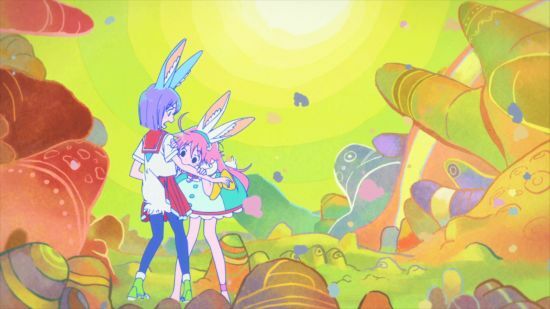 If you aren’t falling in love with this show for it’s adorable characters and quirky, magical situations, you’ll definitely fall for its mouth-dropping background art. 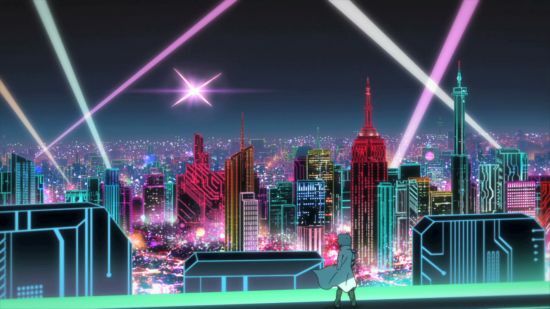 Have you discovered other shows with background art to love? Let us know on Facebook, Twitter, Tumblr, and Instagram!